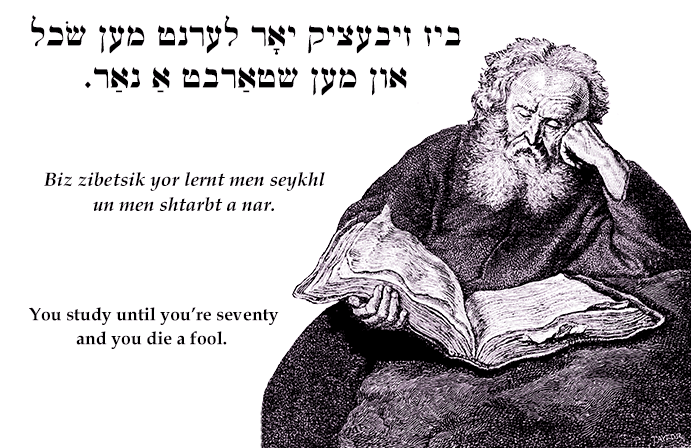 Yiddish Proverb: You study until you're seventy and you die a fool. ביז זיבעציק יאָר לערנט מען שׂכל און מען שטאַרבט אַ נאַר. Biz zibetsik yor lernt men seykhl un men shtarbt a nar. You study until you're seventy and you die a fool. You live a hundred years and you die a fool.